NYC is Blue: Soccer America: "Third Rail ready to rock Yankee Stadium"
Soccer America: "Third Rail ready to rock Yankee Stadium"
Whether the Big Apple takes to MLS will be one of the most intriguing stories of the 2015 season. New York City surely has more soccer fans than any other U.S. city -- but they won't be easy to impress. 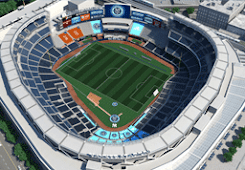 New York City FC will have to play quality soccer and Yankee Stadium -- its home until it builds its own stadium -- must become a fun place to spend an evening. Integral to that is the atmosphere created by the fans. On that front, there's reason for optimism, thanks to Third Rail, the supporters' group that has already attracted nearly 2,000 due-paying members. The key, says Third Rail president Chance Michaels, is that the group started organizing on the same day, May 21, 2013, that MLS announced NYCFC would join the league. "It was a loose group that connected through social media," says Michaels, who started a blog on that day. "My first entry was something like, 'Well, we have a team.'" He figures he ended up president because of his work as a producer of non-profit off-Broadway theater -- giving him a background in tax-exempt corporate structure. Correspondence through social media led to meetings, pub crawls and recognition from NYCFC, which has invited Third Rail representatives to all of its major events, such as the logo unveiling. "We're an independent group," says Michaels. "But we have a good relationship with the club. They're very supportive and they've been our advocate in negotiations with Yankee Stadium." Third Rail was able to get Yankee Stadium, which had insisted on designated seating, to allow general admission in the four sections the group will occupy. It's currently negotiating on the size of banners and flags that will be allowed. In fact, Third Rail may already be -- before NYCFC has kicked a ball in MLS -- the league's most famous fan club. Its statement denouncing the Frank Lampard late arrival appeared widely in media on both sides of the Atlantic. "There's an acceptance now," says Michaels of Lampardgate. "I think our members, with the season a few weeks away, are excited about the future. … The real problem was they hid the truth of his contract and we expected to see him from day one." 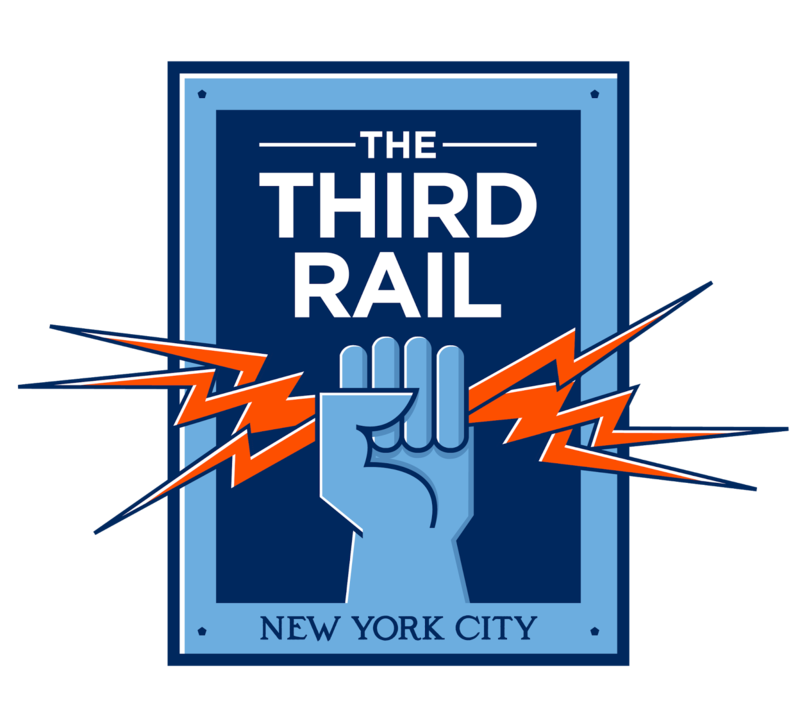 Third Rail hopes to have a big presence at as many away games as possible, starting with the March 8 opener at Orlando. The group has already organized trips and set up ticket-purchasing for early season away games. The big one is against the New York Red Bulls, May 10 in Harrison, N.J. Against the team that has been based in New Jersey since the league's inception in 1996 but has failed to capture the imagination of fans like 43-year-old Michaels. His soccer passion had been directed abroad, supporting Arsenal for two decades. The Red Bulls (nés MetroStars) never felt like a New York City team to him. "We're used to our sports teams playing across the river," he says. "But it seemed that they were after the soccer mom suburbia fans and not that interested in the city itself, especially in the 1990s. NYCFC so clearly sees the five boroughs as its home." Michaels believes that many Third Rail members have had a similar relationship with the sport as he has. Avid soccer fans who have been following teams from various foreign leagues -- yet hadn't felt a spark from MLS. But he says he can't describe a typical Third Rail member. "It's an incredibly diverse group in every way," he says. "We welcome anyone who's enthusiastic about supporting the team. What we're getting is a group that's reflective of the city we live in." It's kind of him to say so, but I can't agree that "(the) Third Rail may already be -- before NYCFC has kicked a ball in MLS -- the league's most famous fan club". Not by a long shot. The Timbers Army, Sons of Ben, and Emerald City Supporters may well have something to say about that. And they'd be right.